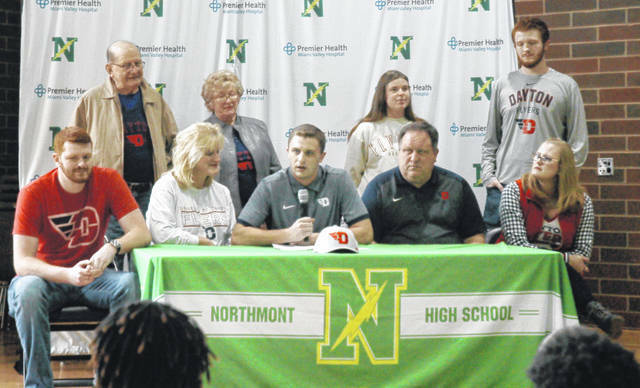 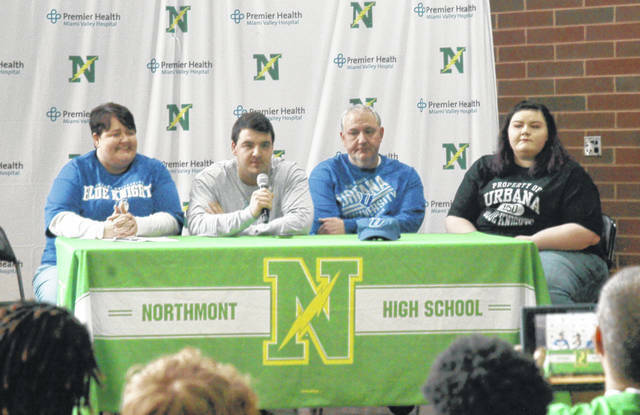 Nolan Roach, surrounded by his family, signed a letter of intent to attend Urbana University. 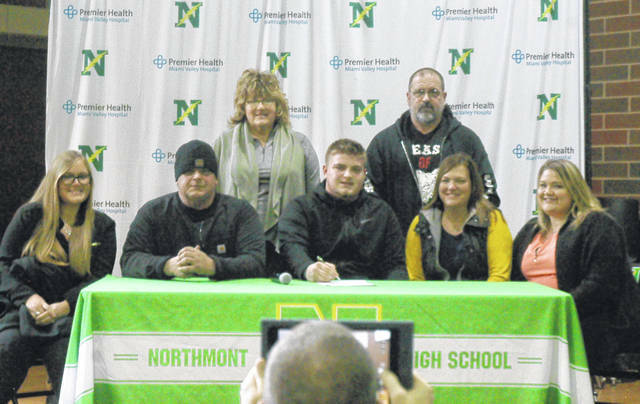 Danny Lewis, surrounded by his family, signed a letter in intent to attend Marian University. 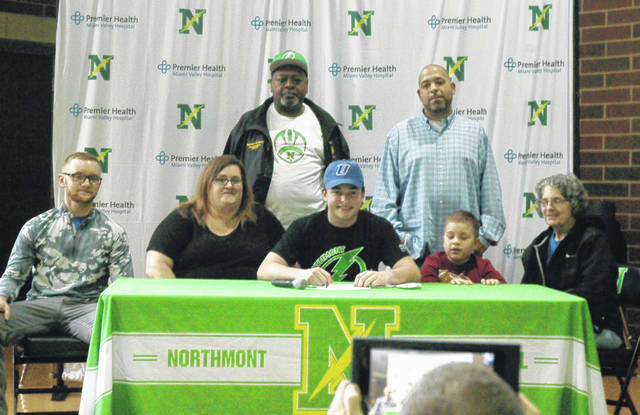 David Weherley, surrounded by his family, signed a letter of intent to attend Marian University. 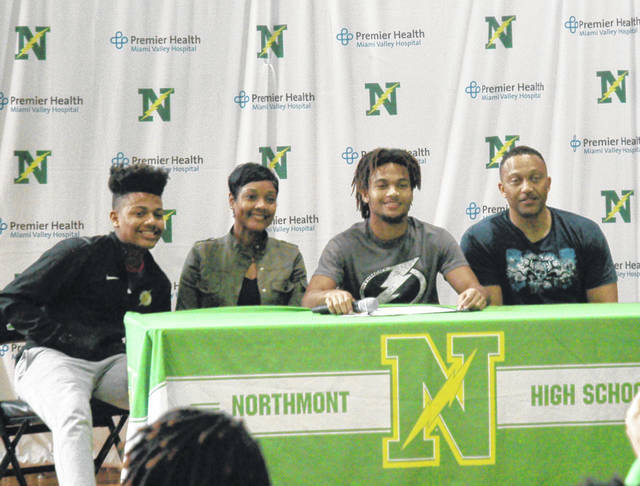 Miles Johnson, surrounded by his family, signed a letter of intent to attend Urbana University.